GangGreen lineman Oday Aboushi is partnering with Habitat for Humanity to rebuild Staten Island homes damaged by Hurricane Sandy today. The NFL has coordinated this day as the Super Bowl Build Event to coincide with the big game on Sunday. 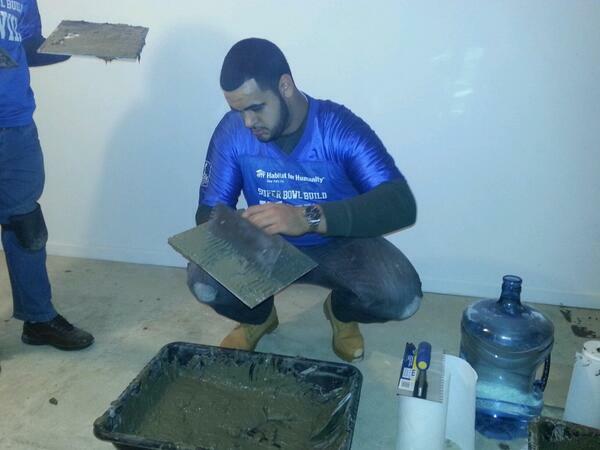 Brooklyn native Aboushi will be joined by 13 Habitat volunteers from South Street Seaport to bring some much needed TLC to homes still devastated by Sandy. Aboushi preparing to get his hands dirty. 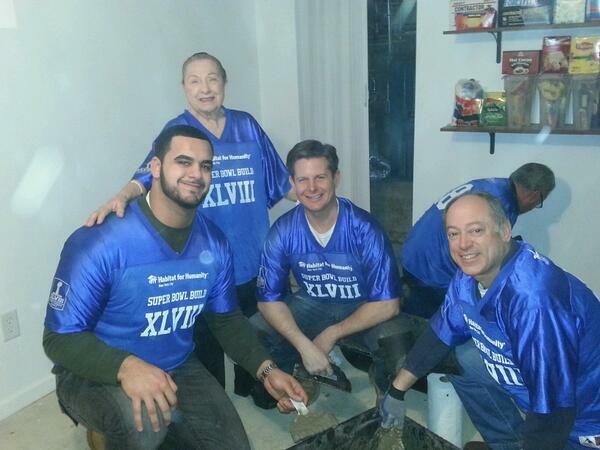 And to sweeten the community service offer even more, volunteers will be rewarded with a tailgating party at South Street Seaport’s exclusive venue where they can catch Super Bowl XLVIII in comfort.